Hundreds of Rocketship parents, students and supporters, wearing purple shirts, attend the Antioch School Board meeting at the Lone Tree Elementary auditorium, Wednesday night, April 10, 2019. “A blatant abuse of power” – Rocketship’s VP of Operations. The reporting requirements in the MOU adopted on June 27, 2018, include both financials and student enrollment projections. Rocketship responded to the first notice of violation with 900 pages of documents. However, a separate report, labeled the 2nd Interim Report was due March 15 and according to both Rocketship representatives and the district’s attorney, Scott Holbrook, it was received on time. But, then the Rocketship board voted to revise that report on March 28 and submitted their Revised 2nd Interim Report on April 1st, within two weeks, which is allowed, according to Rocketship representatives. However the revised report, according to Holbrook, negated the March 15th report, causing the district to be late, thus triggering the opportunity for the new notice of violation. The details supporting the information in the Interim Report were included in the 900 pages of documents in response to the first notice of violation. But, that’s not acceptable to Holbrook or Superintendent Stephanie Anello. “This is not about the education…it is a violation of law, a violation of timeline. It’s about the contractual obligation in the MOU. It’s nothing personal,” Anello said. Two board members weren’t having it. “Can’t the two attorneys meet and communicate? I don’t understand why we’re going back and forth. It’s time consuming and there are attorney fees, here,” said Sawyer-White to a loud round of applause. “Stephanie, you’re the district staff point person,” Householder stated. “Have you…visited Rocketship? “The MOU requires a visit once a year and that’s set up for May,” Anello responded. 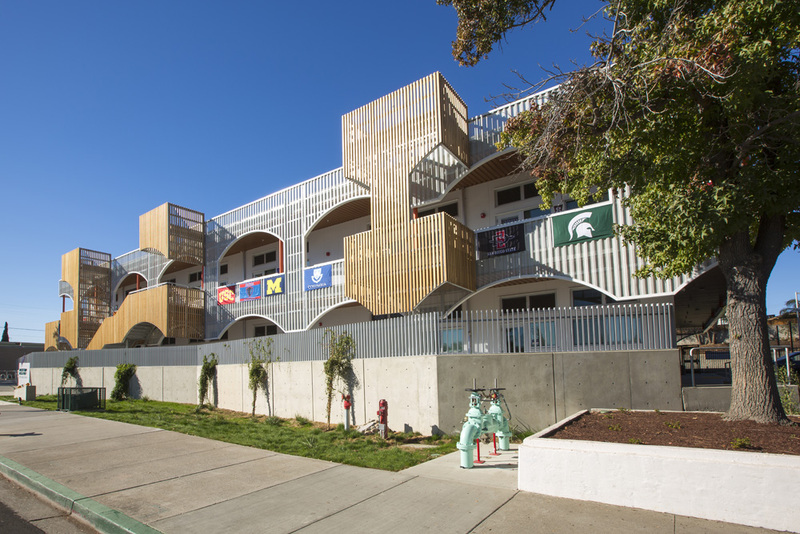 Rocketship Delta Prep’s new $14 million charter school in Antioch. Photo by Hilbers Inc. According to the resolution, the March 28 report projects the school will be fiscally insolvent in the 2019-20 school year, with an ending balance of -$645,394.03. That amount is greater than what was projected in the charter petition adopted by the school board in 2017, according to Holbrook. Deficits were projected for Rocketship’s first three school years, explained Marie Issa Gil, Rocketship’s Regional Director. The report also projects the school has 10 more students than was projected last year, for a total of 396 students according to the March 28th report. However, that’s a decrease of 24 students from the March 15 report. The resolution also states, “the March 28 Revised 2nd Interim Report appears to be a complete and total reworking of the March 15 2nd Interim Report with a multitude of revenue, expenditure, and enrollment alterations” and that “the 2nd Interim Report, the Revised 2nd Interim Report also failed to include any supporting documentation, and/or supplemental or narrative information explaining the new projections. The enrollment issue was not mentioned as a concern by the board members. Members of Rocketship’s leadership spoke on the matter before the board deliberated. Rocketship representatives, parents and supporters claim their students have improved multiple grade levels since switching to the charter school, last fall. But, the Board President Gary Hack and Trustees Diane Gibson-Gray and Mary Rocha pointed out that the matter before the board had nothing to do with academics, just financial reporting. Gil also claims the district staff, specifically Superintendent Stephanie Anello, was sending the notices to the school address instead of Gil’s office and has refused to meet with her to rectify the situation. Anello’s greatest concern is the financial impact on the district from the projected deficit Rocketship is facing. Gil said Rocketship is willing to provide a hold-harmless agreement for the district, like they’ve done for other districts where Rocketship schools are located. Parents and other Rocketship supporters believe the district is being petty and focusing too much on process rather than results. Rocketship supporters also have complained the school’s representatives weren’t given the time they needed to explain things at the last two school board meetings. However, according to Holbrook, the district has 60 days to review the documents provided by Rocketship. Then the school board will hold a public hearing at which the trustees and Rocketship representatives will have the opportunity for questions and answers. But her arguments fell on deaf ears as Rocha made the motion, Gibson-Gray seconded it and Hack voted with them to adopt the resolution issuing the second Notice of Violation. That triggered another 30-day timeframe for Rocketship to respond and then another 60-day clock at the end of that, in which the district has time to review the response and hold a public hearing on the second notice of violation. Rocketship Delta Prep’s new $14 million charter school on Cavallo Road in Antioch. Photo by Hilbers Inc.
After obtaining their charter in 2016, building a new $14 million school and opening to almost 400 mainly Antioch students last August, the Rocketship Delta Prep Charter School is now facing revocation of their charter by the Antioch School Board over a technicality. Rocketship’s attorney and staff were not allowed to speak at the meeting for more than the five minutes allotted to other public speakers, nor were they given the opportunity to respond to the concerns in the notice or brought up by board trustees. Gil said the notices were sent to the school instead of to her office in Redwood City, as is required of the district in the Memorandum Of Understanding (MOU). But, she admits the required documents were not provided in a timely manner and once she received the communication from Anello, she responded immediately. 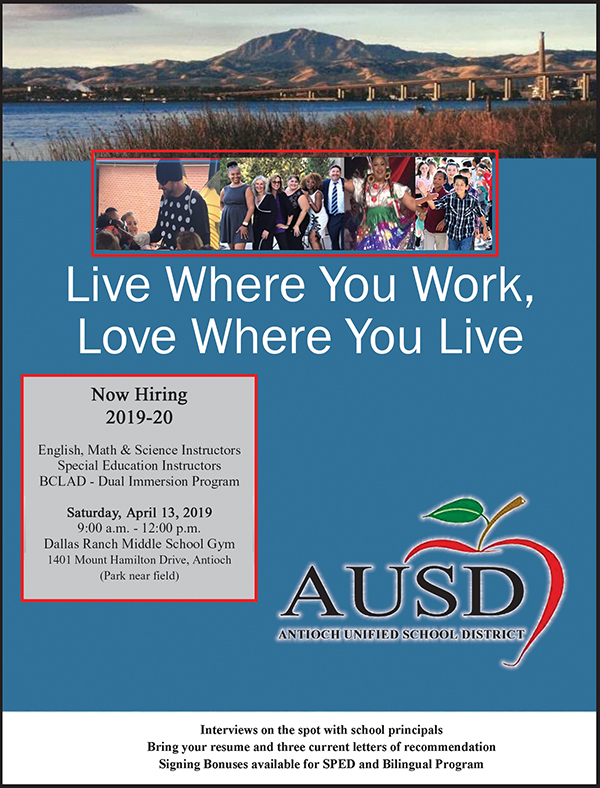 “We…are fully compliant with our MOU,” Gil said at the Feb. 27 Antioch school board meeting. Under state law charter schools have time to cure and correct any violation of their MOU’s with the district that oversees them. Rocketship had until April 1st to respond to the notice. Check back later for updates to this report. Rocketship supporters attend the Antioch School Board meeting, Friday, March 20, 2019. 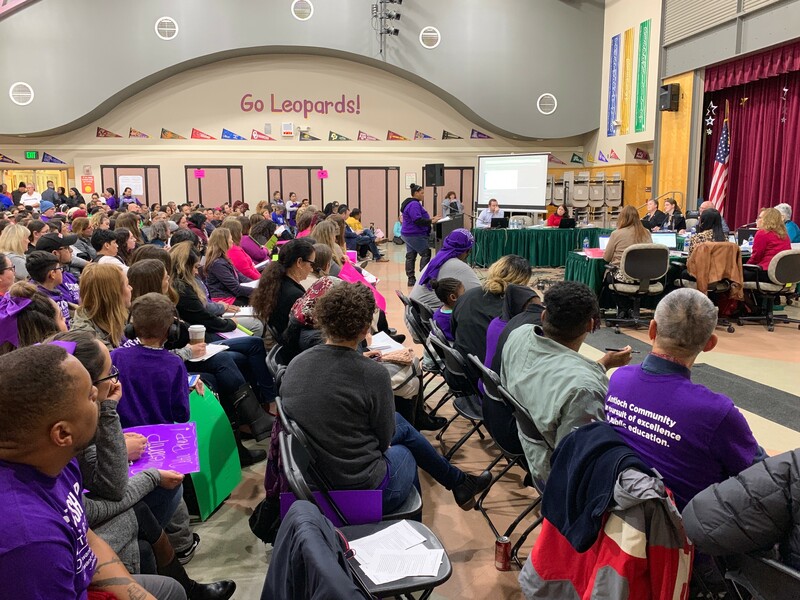 Friday night, more than 350 Rocketship Delta Prep parents, teachers and community supporters packed Lone Tree Elementary to capacity at the Antioch Unified School Board’s meeting. 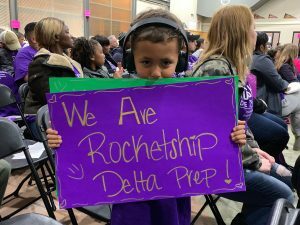 Rocketship Delta Prep was not on the agenda, but parents engaged the board in a constructive dialogue about their experience at Delta Prep during public comment. Friday’s board meeting was a continuation of the scheduled Wednesday, March 20th meeting, which was moved to a larger venue when more than 250 Rocketship supporters showed up for public comment on Wednesday night. Rocketship Public Schools is a nonprofit public charter network of 19 elementary schools serving low-income communities with limited access to excellent schools. Founded in 2007 in San Jose, California, Rocketship has since expanded to Milwaukee, Wisconsin; Nashville, Tennessee; and Washington, D.C. By building a scalable and sustainable school model that propels student achievement in underserved communities, Rocketship is working to eliminate the achievement gap in our lifetime. Visit http://www.rocketshipschools.org/ to learn more. 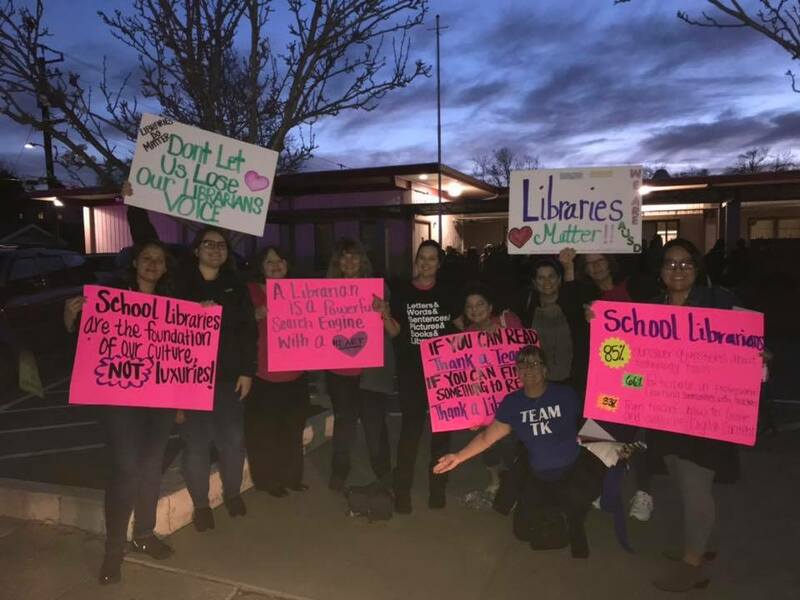 Antioch school librarians and library technicians mount a protest outside the Antioch School Board meeting Wed. night, March 20, 2019. Rocketship supporters and others talk outside of the school district offices and board room, after the meeting was cancelled. 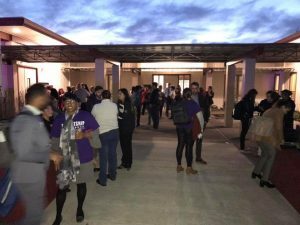 Wednesday night’s Antioch School Board meeting had to be cancelled and postponed until Friday night due to a large turnout of district staff and Rocketship charter school supporters. The over capacity crowd for the small school board meeting room at the district office, included school librarians and library technicians who face possible budget cuts, and staged a small protest with signs. Plus, it included an estimated 250 parents and supporters of the Rocketship Delta Prep elementary school in Antioch whose charter is being threatened with possible revocation. The Rocketship supporters were there to speak during public comments in support of the school. The Fire Marshall was called, who in turn called the Antioch Police, and determined the meeting had to be cancelled. Lone Tree Elementary is located at 1931 Mokelumne Drive in Antioch. 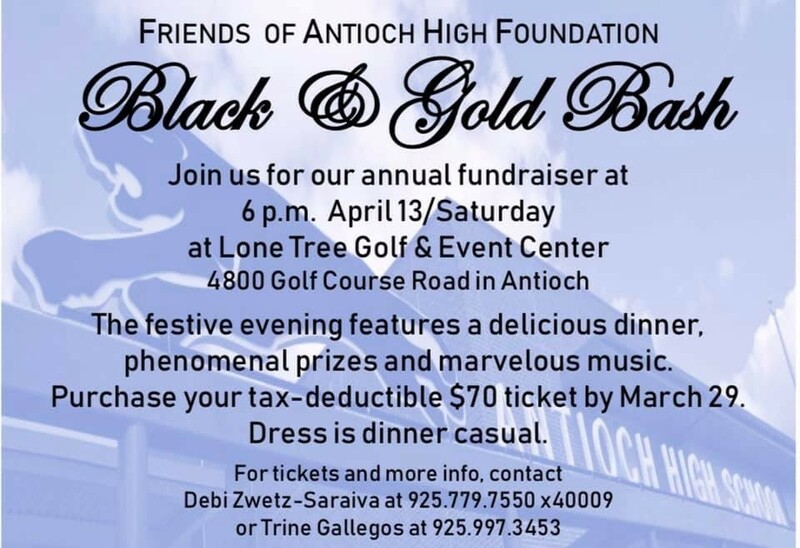 Tickets available at the door or by calling (925) 529-0861. I would like to make the community aware of upcoming budget cuts at the Antioch Unified School District. This Wednesday (March 20) at 7:00pm there will be a School Board meeting in the board room at the district office. At this meeting, the district will propose cuts to be voted on. Among these cuts will be $775,000 worth of classified staff. Around 29% of that will be Library Media Technicians (elementary school librarians). In the past when budget cuts were made, library techs were laid off. Full time school libraries were not staffed. Some schools only had a library open two days a week. When this happened, there was a drop in reading scores, love for reading, and books in general. We are seeing the result at the middle school and high school level now. Since library services have been restored, reading scores have began to improve. Some of our students never hear a story read to them aside from in the library or the classroom. Others are not able to afford to purchase books because it is just not in their budget. Books are treasures to students who sometimes need to escape the hard realities they are living in. Libraries are a safe place for students, and librarians in our district are not just librarians. We do not just read to kids. We participate in PBIS programs such as Tool Box or Mindfulness. We plan activities and stories to support what is going on in the classroom. We teach literacy. We feed the inquiring minds of students daily. We process books and keep open schedules to accommodate teachers and students. We do yard duty in the mornings and after school. We plan fundraisers, book fairs, and family events. Some of us participate in PTO’s/PTA’s at our school sites. Others sit in on School Site Council meetings, and more. We are valuable. If, as a community, we can agree that reading is important and has a place in everyday life, how can we not then say that libraries are not just as important? Let’s face it, we all know that cuts need and have to be made because at the end of the day, the budget is the budget. However, why do the librarians have to feel close to 29% of that cut? 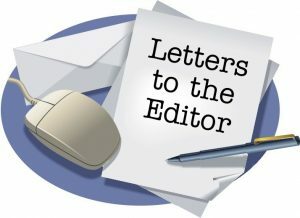 Why aren’t there more cuts being made to the high paid employees at the district office? Why aren’t we looking into programs such as the organics program offered by Republic Services as the Benicia School District and many restaurants in the area have adopted to save money? Why do our students have to suffer? Our students will lose instructional assistants, reading teachers, librarians, and more. Out of 92 classified classifications, librarians will take 29% of the hit? Do not sit by and just watch this happen. Let your voice be heard at the meeting Wednesday night. 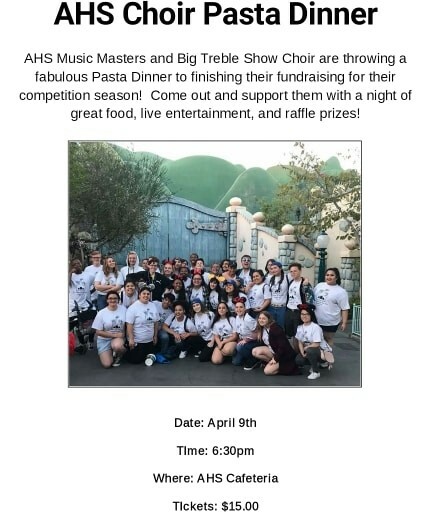 Afterall, We are AUSD.